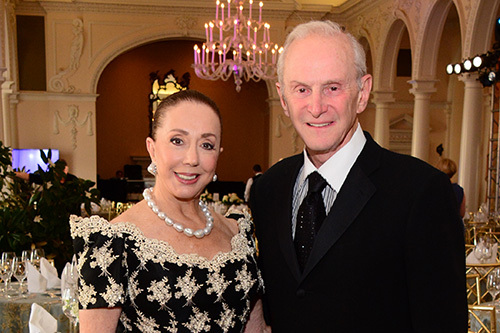 Cancer survivor Howard Halpern and his wife, Lynne, have become champions of philanthropy in the community and have thrown their support behind Winship. When Howard Halpern was diagnosed with head and neck cancer 11 years ago, he could have gone anywhere for treatment. He ultimately decided that he would receive the best care close to his Atlanta home at Winship Cancer Institute. "Winship stands for everything that is good in medicine, everything that is good in patient care, and everything that is good in cutting-edge technology," says Halpern. Halpern is known for nearly 50 years of business leadership and innovation in the meat and seafood distribution industry. He and his wife, Lynne, have become champions of philanthropy in the community and have thrown their support behind Winship. As part of their estate plan, they have established The Lynne and Howard Halpern Chair in Head and Neck Cancer Research to support the development of new therapies. They also served as the honorary chairs of the 2014 Winship Gala, helping to raise funds for cancer research at Winship. Lynne Halpern states, "I think there are not enough cheerleaders for what we have here. We certainly have become cheerleaders, and we certainly know what Winship has to offer." "I think it's vital, it's the lifeblood of the institution. The institution requires support of the community, and the community has to have a facility like Winship," says Howard Halpern. 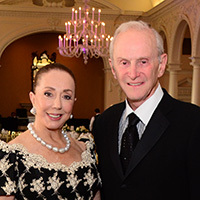 Lynn and Howard Halpern at the 2014 Winship Gala.